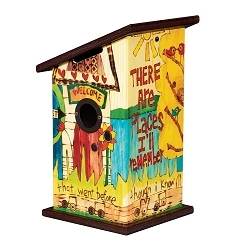 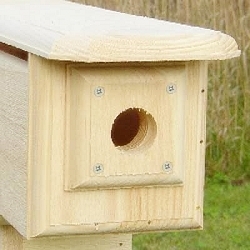 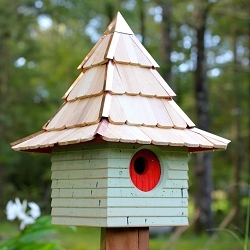 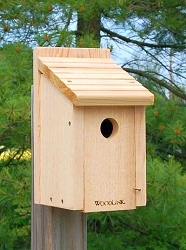 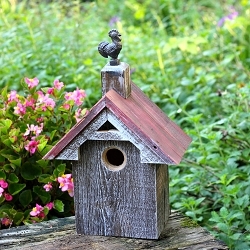 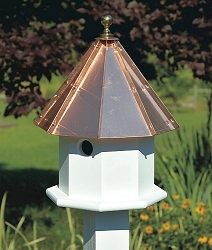 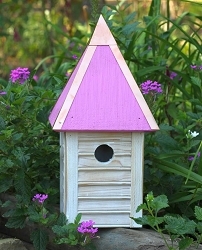 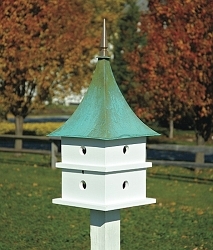 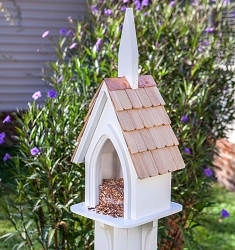 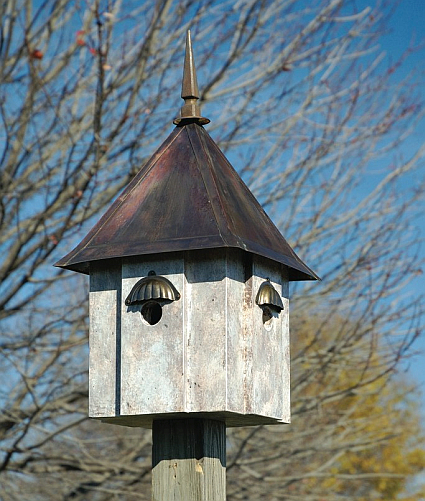 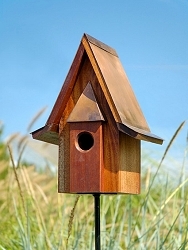 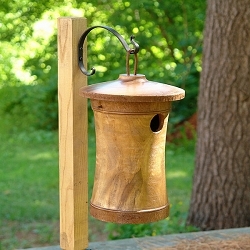 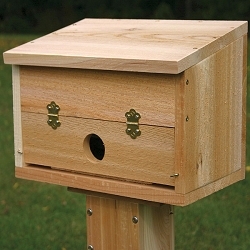 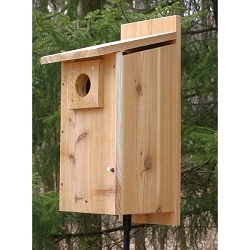 Turn your backyard into an avian sanctuary! 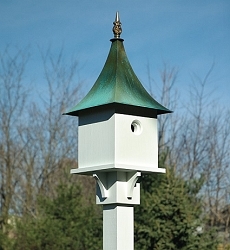 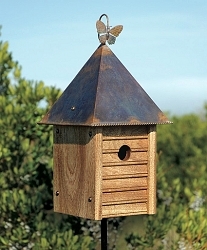 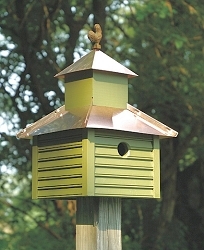 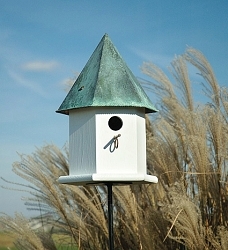 Two magnificent nesting compartments with stylish shell awnings set against Heartwood’s Old World finish and topped by a solid copper roof and cast iron finial. 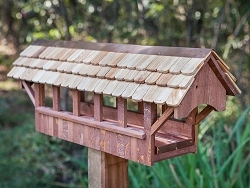 Quality cypress construction. 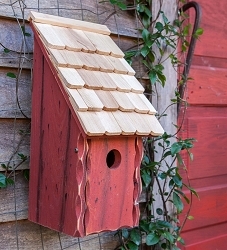 Two perfectly sized compartments – one fabulous house! 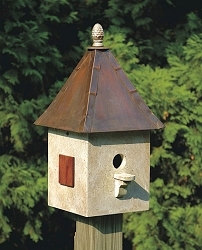 Dimensions: 13" x 13" x 24"; 1-1/2" diameter entrance hole; Weight: 18 lbs.